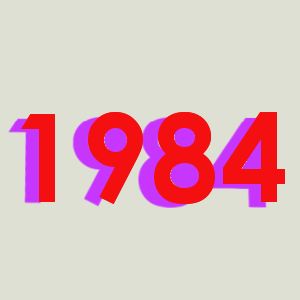 As a high school student I remember reading the novel 1984 by George Orwell. After reading that novel, I recall wondering what it would be like living in an oligarchic society where the government is watching my every move. I think it is fair to say that most people that have read that book may have had similar thoughts at one time or another. Those thoughts probably resurface every time we believe the government has overstepped the boundaries upon which our democratic society is built. What I find interesting, however, is that in our digital society, the government is not the only entity that may stir these thoughts. If you have been keeping abreast of technological news recently, you may have heard of a number of technology companies that are secretly collecting data about their customers’ internet habits and location information with an effort to personalize their “user experience”. On the surface, this may seem very harmless and innocent. Though this is not quite as Orwellian as in the novel 1984, you must admit there is sort of a “big brother is watching” feel to it. As I hear more of these stories, I get more uncomfortable with the idea of having so much personal information about myself on electronic devices and on the internet. Even more, granting one company a significant amount of my personal information is very unsettling. My fears are only made worse because I know how this information may be used for much more sinister purposes, and it is that sinister usage I try to avoid. Three companies in particular with their ubiquitous products and their (sometimes questionable) business practices concern me more than any other companies when it comes to my privacy: Apple, Facebook, and Google, and here’s why. Apple – The maker of the iPhone, iPad, iPod, Safari, and Mac among other products. The provider of iTunes and other services. What concerns me – Apple has the ability through their offerings to track their users’ location, track their users’ musical taste, and know users’ contacts. Security Issues – Timed stamped user location information from the iPhone and iPad is sent back to Apple, without the user’s knowledge. Furthermore that information is insecurely stored on the computer use that sync with the devices. Facebook – The provider of the Facebook social networking site with more than 600million users. What concerns me – Google has the ability through their social network to know EVERYTHING about users that they and their Facebook friends are willing to share. The more active users are on the website, the more they know that users’ habits, and users’ contacts. The founder, Mark Zuckerberg, at one time said “privacy is dead”. Security Issues – Insecure accounts allowed third party app providers to gain access to user information. Also, new features that make users’ data less private often require users to opt-out of that feature to maintain privacy. Google – The provider or creator of Google search engine, Google Chrome, Google Maps, Google Wallet, Google Adsense, Youtube, Andriod, Android Store, Gmail, and more. What concerns me – They have the ability through their services and products to: track users’ location, track where users are considering going, track users’ searches, track users’ spending, track users’ entertainment taste, track users’ online searches , and know users’ contacts. Security Issues – User location information on Android phones is collected without the users knowledgeand sent to Google. So what do you do? How do you preserve your privacy and prevent these companies from collecting a complete dossier of your personal data? Well you cannot fully protect your information unless you stop using their services and products. Short of that, the best alternative is to diversify and keep them separated. Just as diversifying your investment portfolio makes you less vulnerable to issues with individual stocks, diversifying your digital footprint will make you less susceptible to one company completing a dossier of your personal data. If you use, let’s say, Google products and services for all of your email, phone, searches, directions, purchasing activities, and video watching, this is equivalent to telling one person in your life everything about you. I do not know of anyone that does this unless the person they are sharing this information with will be a life-long partner (wife, husband, fiance). Personally, I have stopped using Google searches, Google maps, Google mail, exclusively. For searches, finding directions, electronic communications, I have been utilizing Yahoo Search, Bing, Yahoo Maps, MapQuest, and Yahoo Email much more. I do not care if using a non-Google Gmail account makes me appear less than professional as some have suggested. I am more concerned about security. After you have diversified, do not let any social media site or your phone search through your email accounts to fill your contact list. Keep them separated so that no one account has knowledge of your username and password for another account nor your total list of associates. This will help to keep your account and some of your contacts protected. Keep these tips in mind to reduce the likelihood of a catastrophic invasion of privacy.